Even if you haven’t seen the movie, chances are you’ve heard this line: “I coulda been a contender.” It came from one of the iconic scenes in American cinema, the 1954 film, “On the Waterfront,” starring Marlon Brando. Go ahead and watch the scene, with Brando as boxer Terry Malloy and Rod Steiger as his mobbed-up brother Charley. It only takes two minutes. We’ll wait. The theme of that scene, and much of the movie, is about Terry’s unrealized, and crushed, potential. Now let’s reimagine the scene, with Federal Communications Chairman Julius Genachowski standing (or sitting, as the case may be) in for Steiger, and a guy (or woman) who is working at an Internet start-up taking Brando’s spot. Maybe it’s Tim O'Shaughnessy from LivingSocial in the scene, as he contemplates a future competing against a Verizon that launches its own coupon service or partners with Groupon. For every start-up that will now be stifled, for every person who goes online and finds that their telephone or cable or wireless company will now play favorites online just because it can make some money doing so, the word is: “It was you, Julius.” You made the Internet take a dive. That’s the great irony for all the strurm und drang surrounding the FCC’s actions on Net Neutrality earlier today – they could end up being toothless. 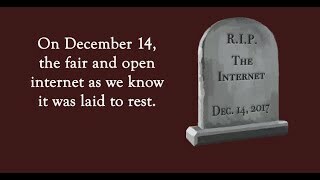 For all of the overheated rhetoric about a “government takeover” of the Internet, and for all of the news stories about regulating Internet traffic, the situation at the end of the day is much less clear. There is much less than meets the eye. That’s because of the dichotomy of what is a rule, and what is a discussion of a rule. For example, if the FCC had said, it is a violation of our rules to offer a “pay for priority” service or to offer “specialized” services outside of the Internet that might siphon off bandwidth from the Internet everyone uses. At that point, carriers would know what is allowed and what is not. They could challenge it, of course, but the rule would be clear. That’s not what the FCC did. Instead, the text of the FCC order as part of the discussion of Net Neutrality simply says, in essence, “We don’t think pay for priority is a good idea,” and might be considered “unreasonable discrimination.” Is that informal opinion that’s not a part of the central rule enforceable? If you think that’s a court case waiting to happen, you’re right. If it was that important, why didn’t the FCC simply ban the practice? There are even fewer protections for wireless customers than there are for those who connect to the Internet online. Even the vague guidelines against “unreasonable discrimination” in the wired world don’t apply in the wireless world. That’s particularly unfortunate for those, particularly people of color and those with lower-income, who use wireless service for their primary access to the Internet. While there are some prohibitions against outright blocking of competitive services, there are none to prohibit the more subtle game-playing that manipulate the caller’s online wireless experience by making some services work better than others. 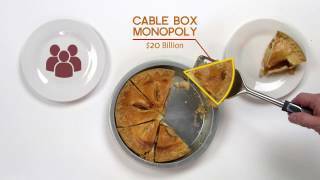 Because of those loopholes, the future of any number of companies that exist now is in jeopardy because the rules will allow giant telephone and cable companies to create their own version of the same service as one that already exists, to offer it on different terms and conditions that would put a competitor at a disadvantage – say a better video streaming experience that the in-house service can get but which others don't have. Absent strong enforcement, the loopholes will replace the rule, and it's not at all clear that the FCC either has the legal authority to impose the rules at all, much less to enforce the vague language in those rules. That description sounds pretty much like the situation the FCC found itself in after the Comcast case in April. This could easily develop into a case of deja vu all over again. Attempting to justify the rule, Genachowski set up himself up as the wise determiner or law, rejecting extremists who wanted both more and less from the rules: “On one end of the spectrum, there are those who say government should do nothing at all on open Internet. On the other end are those who would adopt extensive, detailed and rigid regulations” The problem is his setup is a false choice. No one wanted extensive, detailed and rigid rules. Those of us advocating a sterner approach than the chairman took wanted a comprehensive, legally solid, enforceable set of rules that, while taking into account changes in technology, provided some basic protections for all consumers while setting out clearly for carriers what was in bounds and what was out. Genachowski demonized supports of that common-sense approach, while continuing to claim support from groups which really didn't support him, or at best gave him qualified support, like Consumers Union and the Center for Democracy and Technology. However, this is the Christmas season, and a time for redemption. So let's reshoot the back-seat conversation between Terry Malloy and Charley Malloy with new actors. This time, Genachowski will take the role of Terry. There are a couple of choices for Charley. Just at random, Larry Summers, the departing head of the White House Council of Economic Advisers might be good, as would Jim Cicconi, AT&T's chief lobbyist. In this scenario, it was Genachowski who took the dive. Why did the FCC take a dive? It’s a simple political calculation. At the urging of the White House, Genachowski wanted AT&T’s buy-in to whatever the Commission did. He chose to make AT&T happy over the objections of traditional Democratic constituencies, like people of color and over the objections of the public interest community. Compare AT&T’s statement on the FCC actions with that of Verizon, which is the much more critical of the two and which reads like AT&T’s would under normal circumstances. AT&T spent a lot of time lobbying the FCC on the Net Neutrality issues, visiting the agency’s chief of staff six times between Nov. 4 and Nov. 26, Bloomberg News reported. Genachowski wanted AT&T to be on board because he believed it would provide him some political cover.